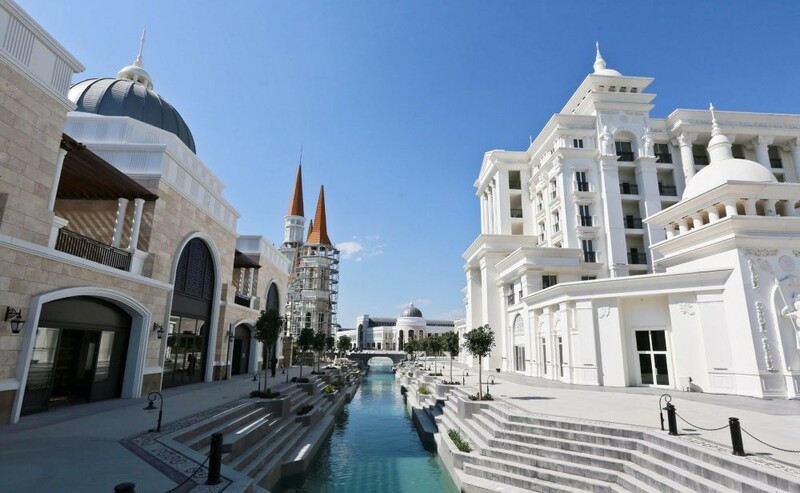 ablished in Antalya's touristic Belek district as a part of the Rixos World Parks & Entertainment, the Land of Legends Theme Park, described as "Turkey's largest life and amusement park" draws attention from local and foreign tourists. Waterslides featuring advanced technology and adrenalin-pumping entertainment options in the Land of Legends attract visitors of all ages. 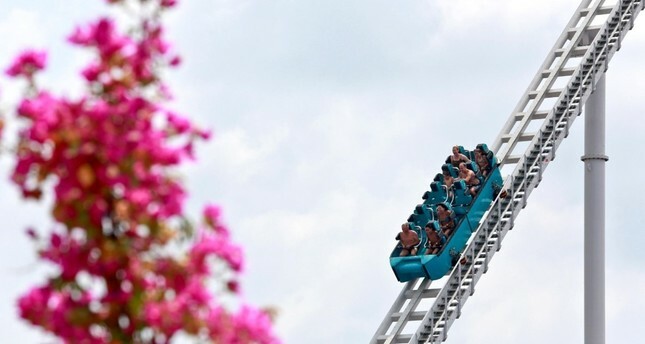 Among the most attractive spots in the theme park are a white sand pool, a wave ball pool, special activity areas, water slides for children, the Water Typhoon Coaster and a special area in the mini zoo where tigers and penguins can be seen. Revived as a unique concept breathing new life into the holiday concept, The Land of Legends leads a brand new entertainment concept with striking architecture and the creativity of entertainment world legend, Franco Dragone. The wave and surf pools attract many adventure-seekers in the aqua park. Franco Dragone is the founder and art director of Dragone Productions and organizes shows and water-themed theatrical performances for more than 100 million people in Las Vegas, Macau, Paris, Wuhan, Dubai and Russia. He is now bringing the glamour of the entertainment industry to Turkey with an entertainment ground that features a crazy river, water slides and wading pools perfect for splashing around. For the more adventurous, the Surf's wave pool and slide complex offer endless thrills and the chance to plant your feet on a surfboard. The water ride begins on the rail, which stands 43 meters high, and reaches a speed of 86 kilometers per hour.The wave and surf pools attract many adventure-seekers in the aqua park, which has hosted hundreds of visitors since the day it opened its gates. The surf pool, depicted as a "must try" by every visitor at the aqua park, is packed every hour of the day. Vacationers of all ages try to stand on the surfboard on the fast flowing water. While some prefer doing a handstand, some prefer surfing by lying down. Surfers who have enjoyed the adrenalin-pumping experience on the water, which can flow up to 30 kilometers per hour, declare that time stops on the surfboard. 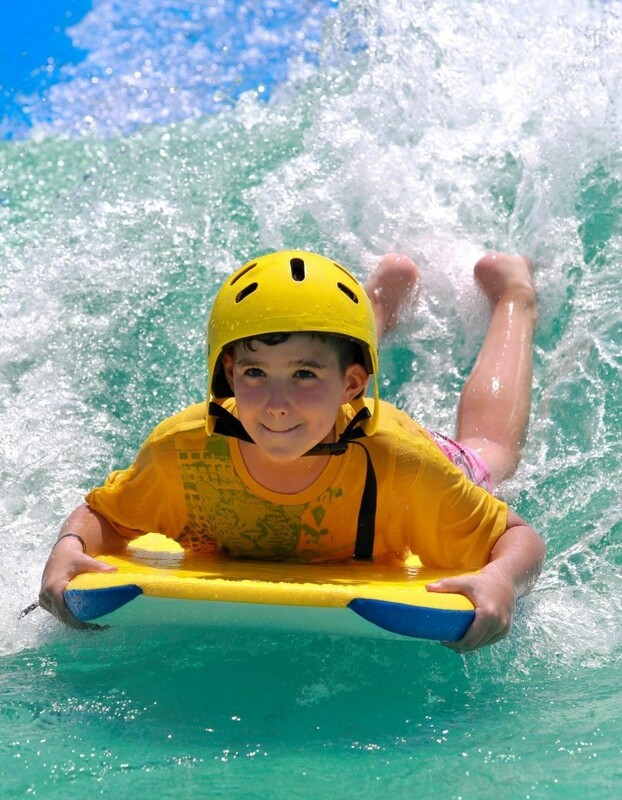 In addition to the surfboard, vacationers of all ages can cool off in the wave pool among waves that reach up to two meters high. While some have fun with their children, others take on the waves with their friends and slide through the 43 meter typhoon coaster at speeds of up to 85 kilometers per hour, landing in the pool at the end of a 525 meter-long platform. Needless to say, visitors cannot stop screaming until they reach the end of the water splashing coaster tour. Combining speed and adrenalin, the Typhoon Coaster awaits adrenalin-lovers to give it a go. Those who want to try the Deep Wave slides, an amazing combination of thrill, adrenalin and amusement, first have to get used to the height. Likewise, the starship stage where a visual feast can be experienced by only using glass is worth seeing. Abyss, which consists of rafting rapids, is decorated with natural light as well as light effects, and more than 70 different waterslides; the aqua park comes to the fore with its fairytale-like imagery. You do not need to be a hotel guest to enjoy the Legends of Aqua. The aqua park is open between 9:30 a.m. and 6:00 p.m. Those who want to enjoy the waterslides can enter the aqua park individually during these hours. On the other side, the Marine Zone is home to thousands of the most beautiful creatures of the Mediterranean Sea, including tropical fish. Guests can come face-to-face with dolphins and sharks on an underwater safari, get friendly with penguins and tigers, and see white whales and walruses during the show. Custom-designed to reflect the tales that have inspired the experiences at the park, all guest rooms and suites are punctuated by whimsical touches of fantasy as well as modern conveniences like PlayStations and dual-screen LED TVs. White sandy beaches and swaying palm trees will make guests feel as if they are on a tropical island. Guests may also unwind on the lazy river, cool off in the pool or play in the sand with their little ones. 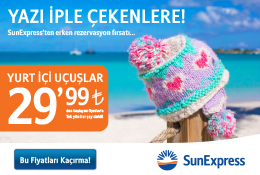 Indicating that they brought a project with high-added value to Turkish tourism, Rixos Hotels' Chairman Fettah Tamince said: "The Land of Legends is the first ring of the new generation entertainment destinations that we will revive. With this project, we create a new destination beyond a hotel, a theme park, shopping units and aqua parks." Tamince indicates that the aim of the project, which would bring new color to Antalya's rich product diversity as one of the first entertainment and holiday choices in the region, noted that the project's first stage, which opened in July, cost nearly TL 1.5 billion. All stages are set to be completed by 2018 and the investment is expected to reach TL 4 billion, Tamince said.